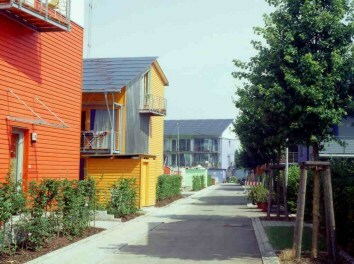 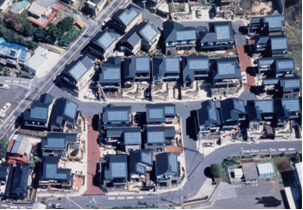 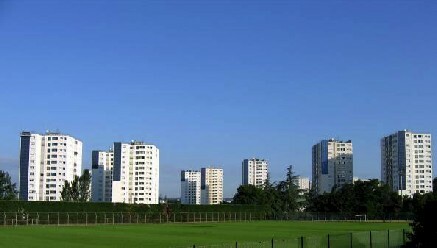 Les Hauts de Feuilly is a new housing district in the Grand-Lyon Community (1998) with a new form of housing based on high quality architecture and urban living. 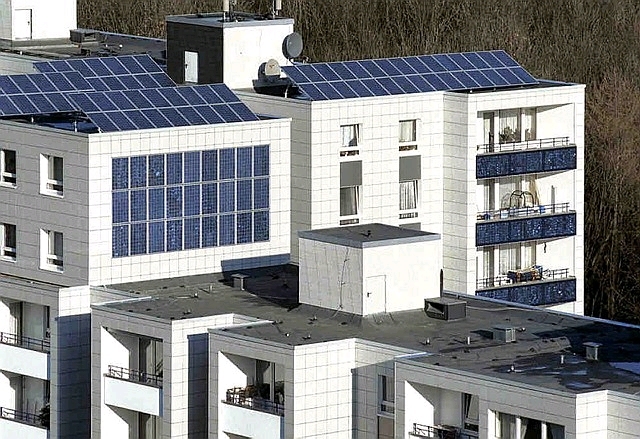 In this project includes 22 (19 attached houses and 3 multi-story apartment buildings) with PV systems out of a total of 200 houses and 6 multi-apartment buildings. 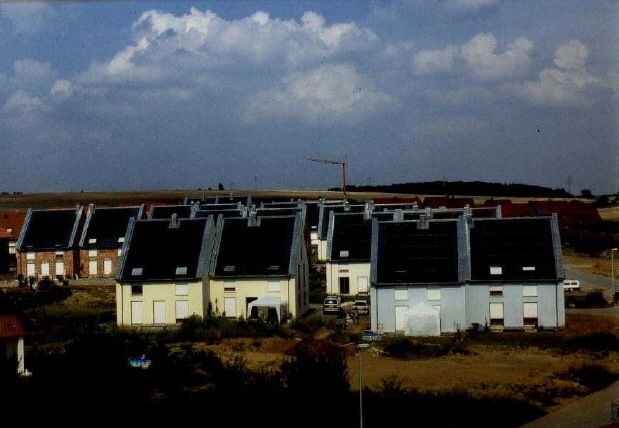 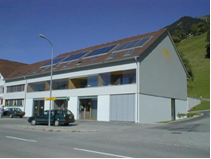 In order to offer the same quality to all home owners, France-Terre, a private developer, decided to integrate a PV system in the roof of each house or building of the community : 19 individual houses are equiped with a 1 kWp PV system and 3 collective housing with a 2 kWp PV system. 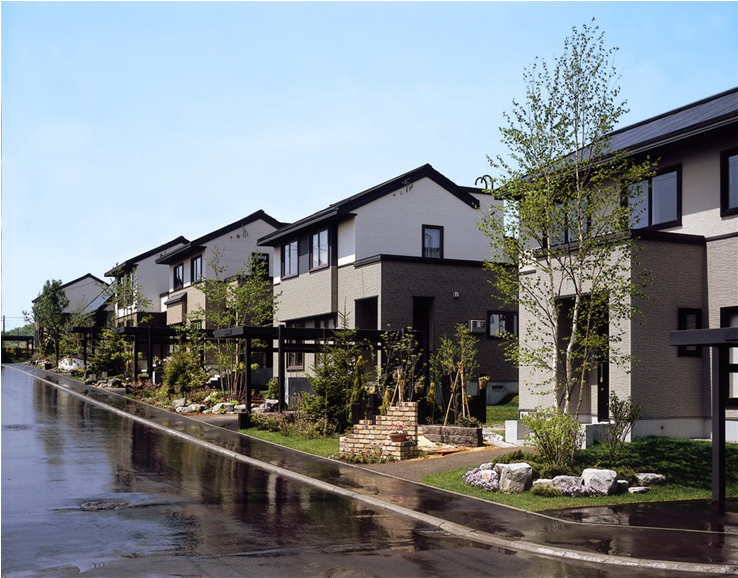 Sekisui Harmonate-town Tsuru-no-Ura is located in Okayama prefecture. 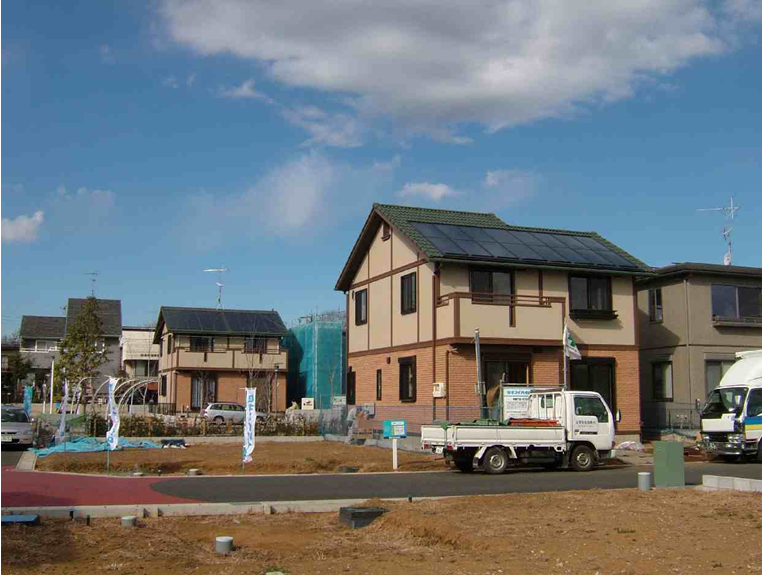 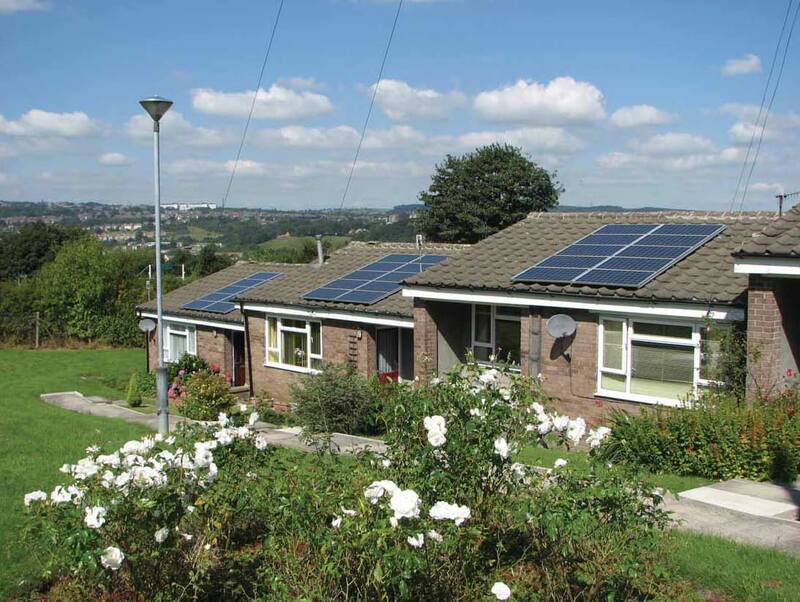 In 2005, 16 houses equipped with PV system were sold and presently another 16 houses are being sold in lots. 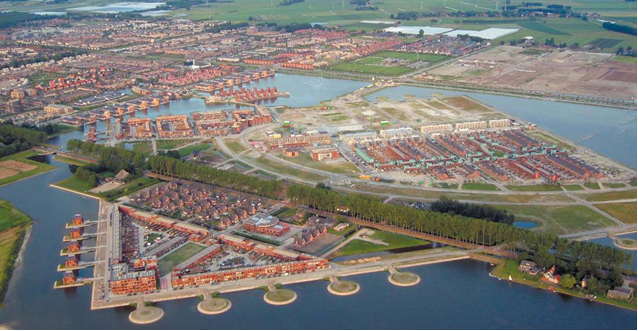 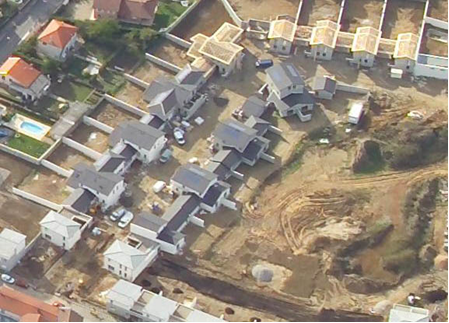 In December 2006, 19 houses in total were being built. 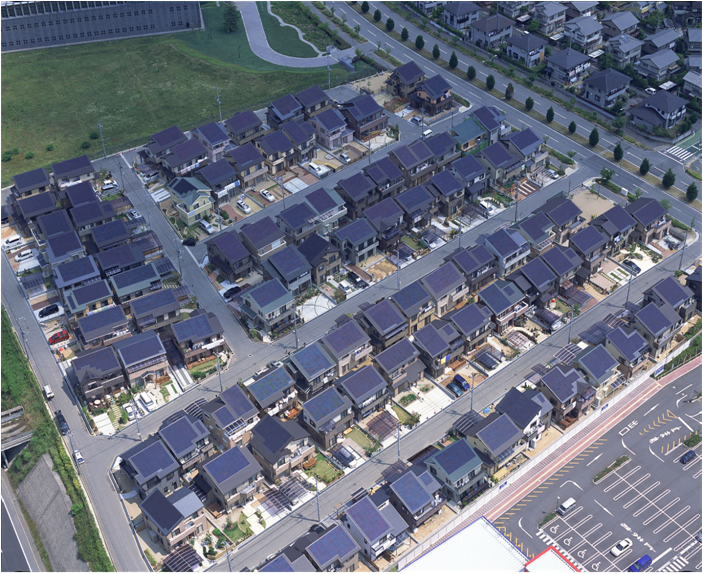 Panahome-city Seishin-Minami PV project consists of 100 house compartments with PV rooftops of 3 kWp each. 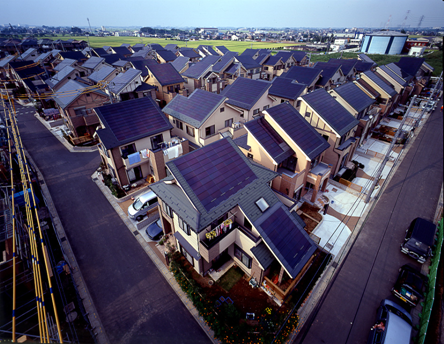 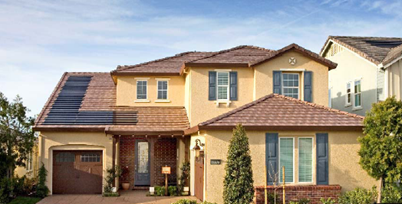 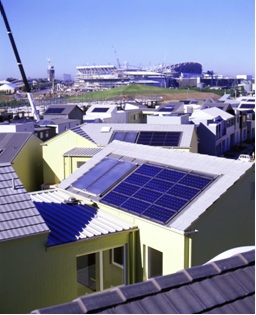 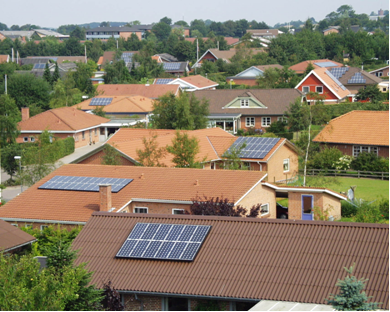 31 houses have inclined roofs with mounted regular framed PV modules, while 69 houses have inclined roofs with PV roof tiles. 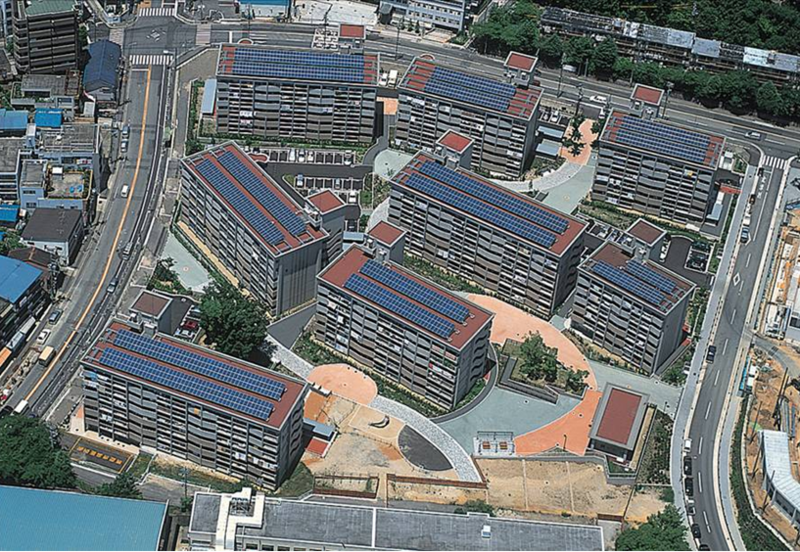 In total 299 kWp (mulit-crystalline silicon) is installed by the Kyocera corporation. 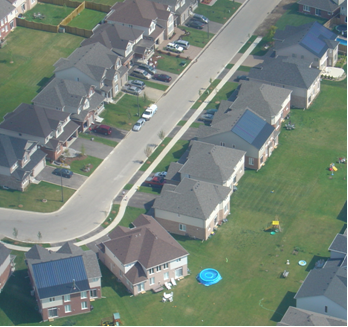 Waterloo, Ontario is located in central Canada, approximately 600 km South West of Ottawa, the Canadian Capital. 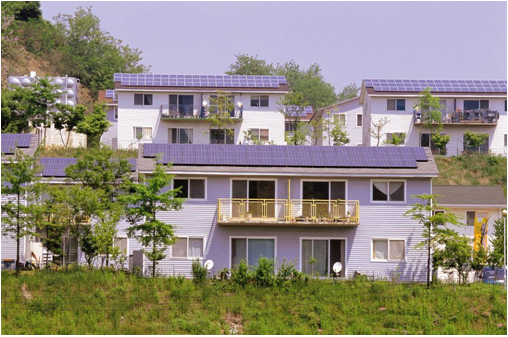 This project was the first demonstration of a grid-connected PV community in Canada. 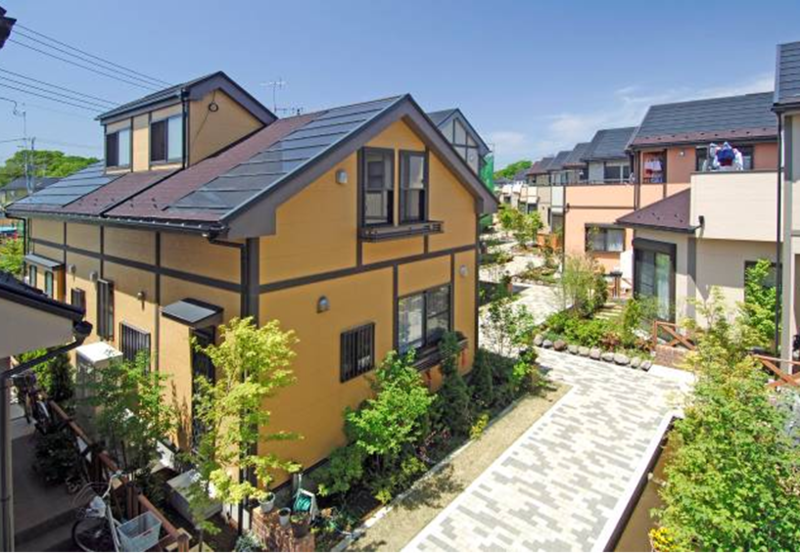 All houses of the Hills-Garden Kiyota are all-electric and using high-efficiency energy equipment such as a heat pump system, as well as PV system. 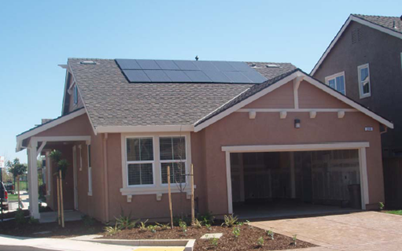 The community realizes a low maintenance and operation cost, in addition to a low energy-consumption and low CO2 emissions. 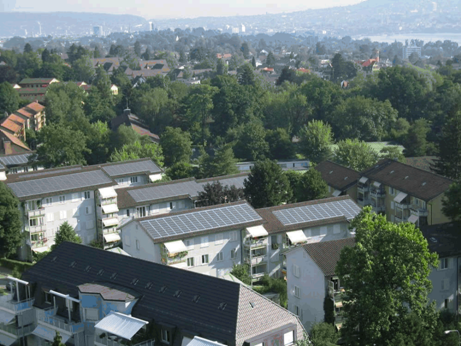 In total 142 PV rooftops of 2,4 kWp each have been installed. 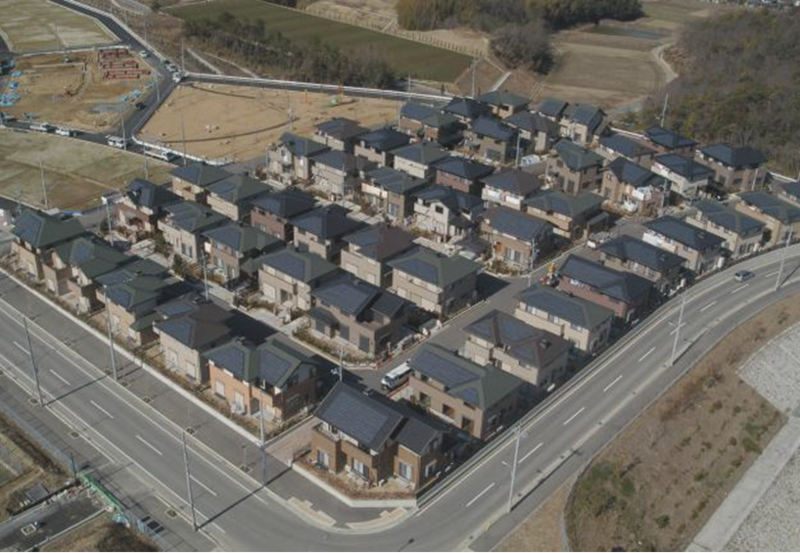 Jo-Town Kanokodai is located in the north of Kobe city, Hyogo. 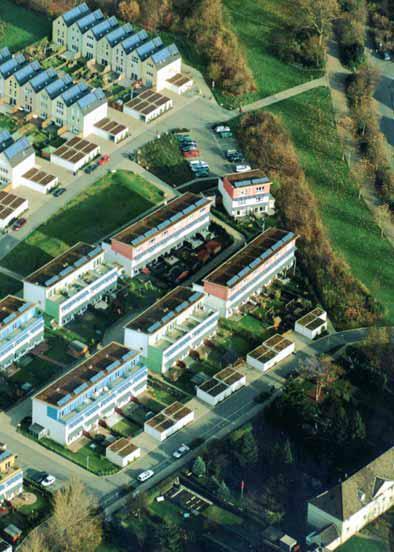 Originally, the number of house compartments with PV rooftops planned was 70. 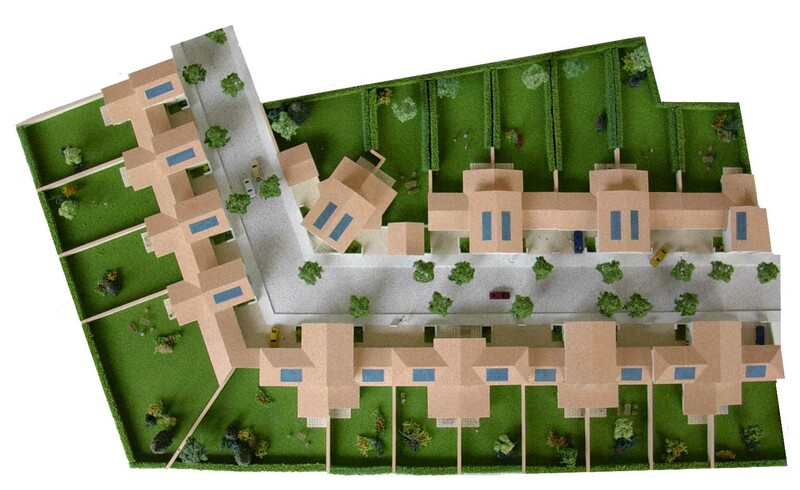 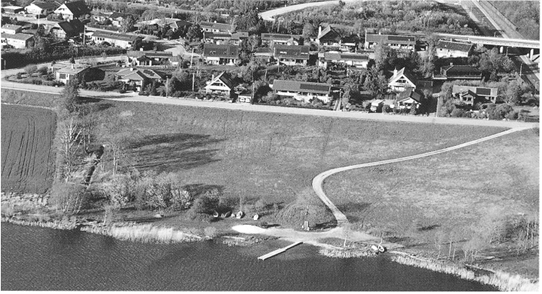 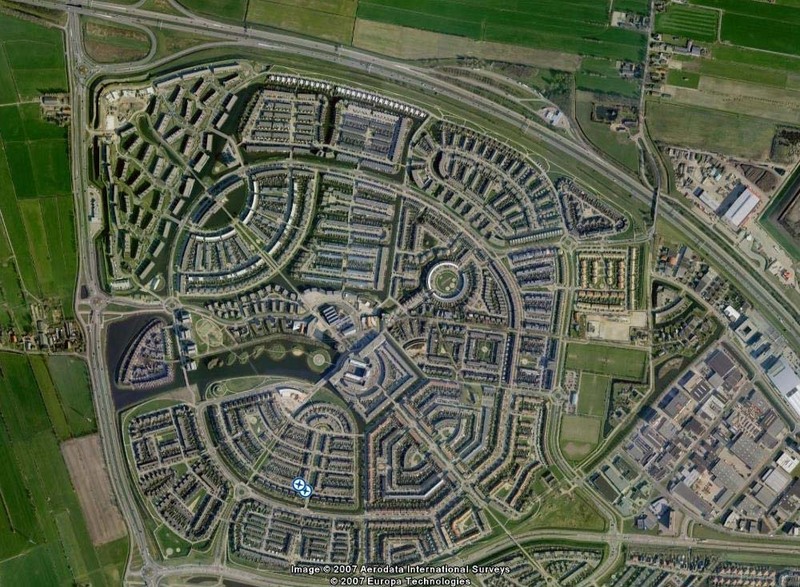 However, many customers had a great deal of empathy for the plan and 25 compartments were added to the development plan. 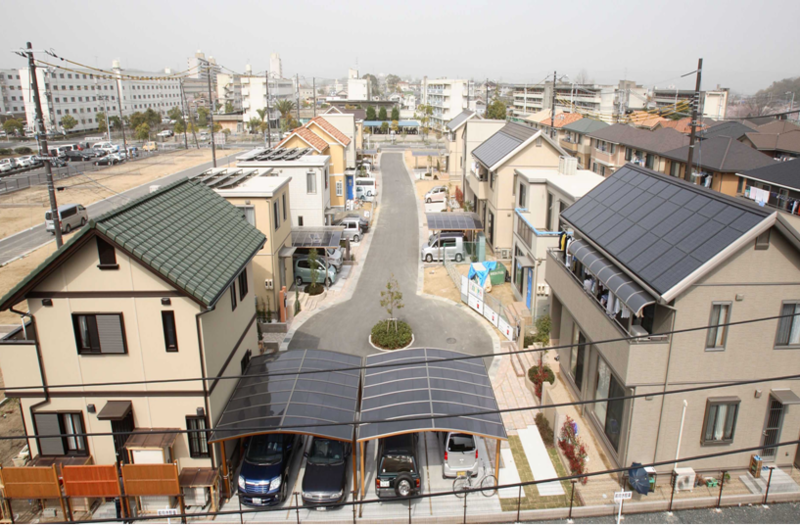 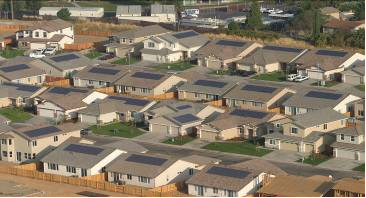 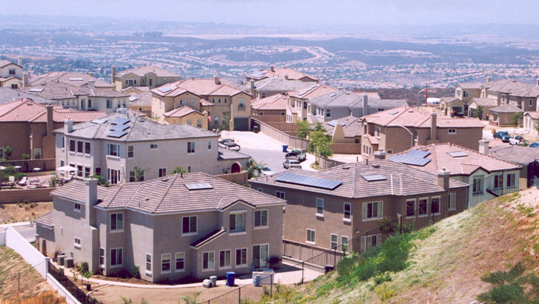 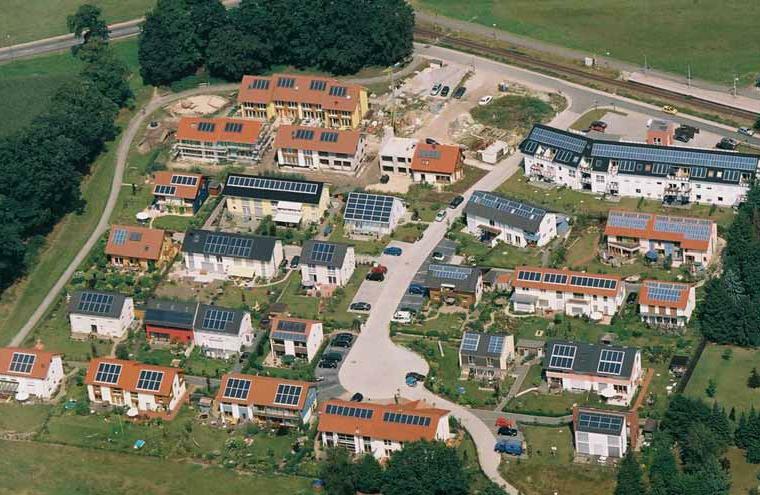 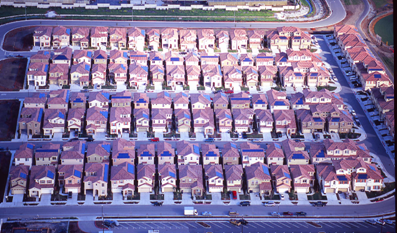 As a result, the community has 95 houses equipped with PV systems. 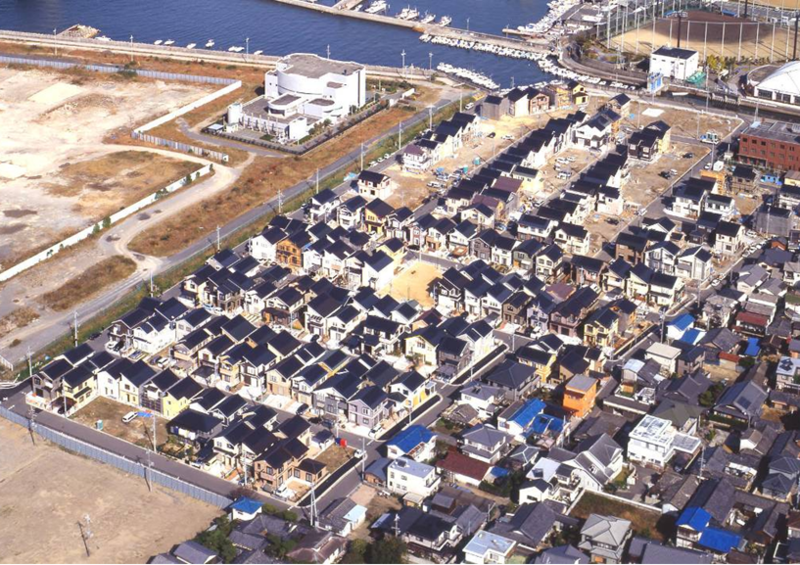 Nagoya city is the fourth biggest city in Japan and with over 2 million inhabitants. 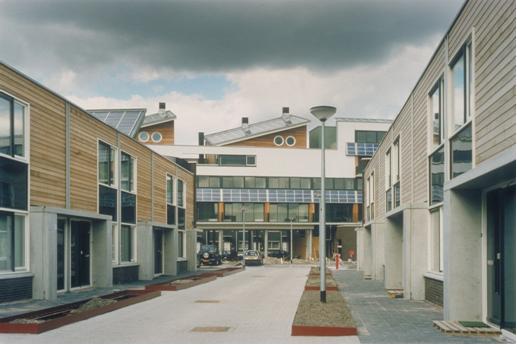 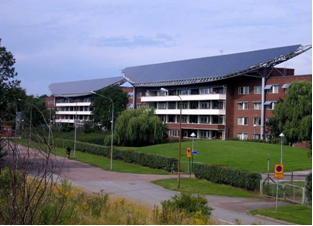 In this project (reconstruction of an old district in the nineties) 8 new buildings were equipped with PV systems on the roof and completed in 2000. 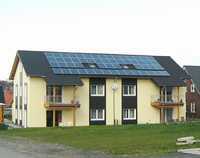 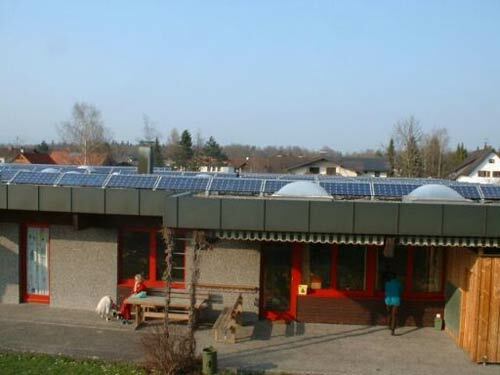 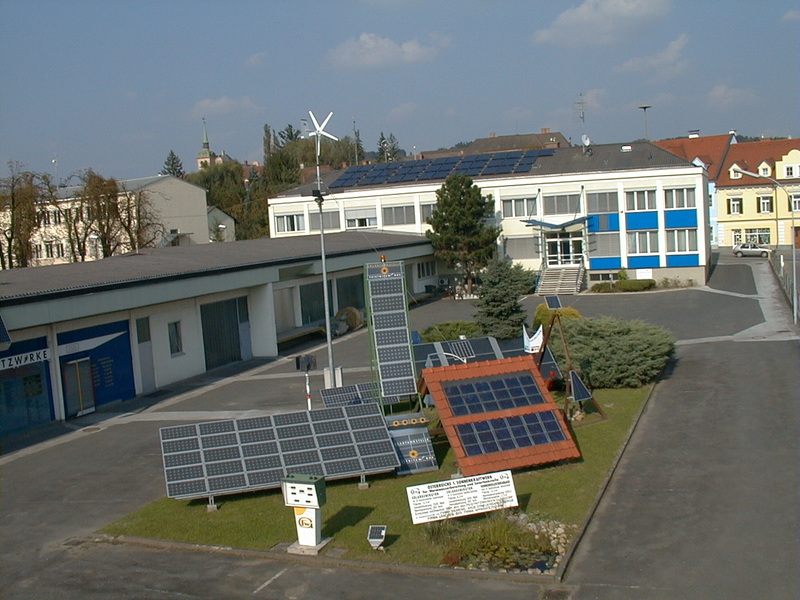 The capacity of the PV system of each building was different, wiht 203kWp of PV installed in total.